Amyotrophic lateral sclerosis is a motor neuron disease with rampant progression and that it is typically fatal within 5 years of prognosis. At SfN 2018, Antti Nurmi explained a case study of how Charles River have used neuroimaging to study Batten's Disease. While about 11 percent of children (4-17 years old) nationwide have been diagnosed with attention-deficit hyperactivity disorder, the long-term health effects of having ADHD and of common ADHD medications remains understudied. There is new hope for the treatment of Alzheimer's and other neurological diseases following a ground-breaking discovery made by an Australian-Chinese research collaboration. Maurizio Pellecchia, who holds the Daniel Hays Chair in Cancer Research at the University of California, Riverside, has received two grants to continue his research aimed at finding therapeutics for cancer, amyotrophic lateral sclerosis, and other neurodegenerative diseases. Standing guard between a cell's nucleus and its main chamber, called the cytoplasm, are thousands of behemoth protein structures called nuclear pore complexes, or NPCs. Scientists have for the first time discovered a mechanism that limits the number of "cellular janitors" in the nervous system, leading to increased risk for two neurodegenerative diseases: amyotrophic lateral sclerosis and frontotemporal dementia, according to a Keck School of Medicine of USC study published today in Nature Medicine. A team of researchers at Duke University Medical Center led by Dr. Paulo Ferreira and whose work was supported by the National Institutes of Health has found that derailing the transport of certain receptors that carry cargoes from and to the nucleus of motor neurons causes motor neuron disease in mice. A brain─computer interface has enabled people with “locked-in” syndrome to communicate, according to trial results published in PLOS Biology. The device was able to decipher the thoughts of four patients who were unable to speak, move or blink and relay “yes” or “no” answers to basic questions. A computer interface that can decipher the thoughts of people who are unable to communicate could revolutionize the lives of those living with completely locked-in syndrome, according to a new paper publishing January 31st, 2017 in PLOS Biology. What if a map of the brain could help us decode people's inner thoughts? Scientists at the University of California, Berkeley, have taken a step in that direction by building a "semantic atlas" that shows in vivid colors and multiple dimensions how the human brain organizes language. The atlas identifies brain areas that respond to words that have similar meanings. 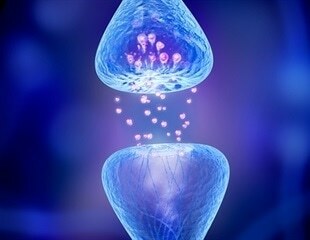 A phase II study shows that the sodium channel blocker mexiletine has no specific safety concerns in patients with amyotrophic lateral sclerosis and, moreover, markedly reduces muscle cramps. A small peptide dubbed TAxI is living up to its name. Recent studies show it to be an effective vehicle for shuttling functional proteins, such as active enzymes, into the spinal cord after a muscle injection. J. Gavin Daigle, a PhD candidate at the LSU Health New Orleans School of Graduate Studies, is the first author of a paper whose findings reveal another piece of the Amyotrophic Lateral Sclerosis (ALS) puzzle. UC Irvine will receive $8 million from the National Institutes of Health to establish one of six national centers dedicated to creating a database of human cellular responses that will accelerate efforts to develop new therapies for many diseases.